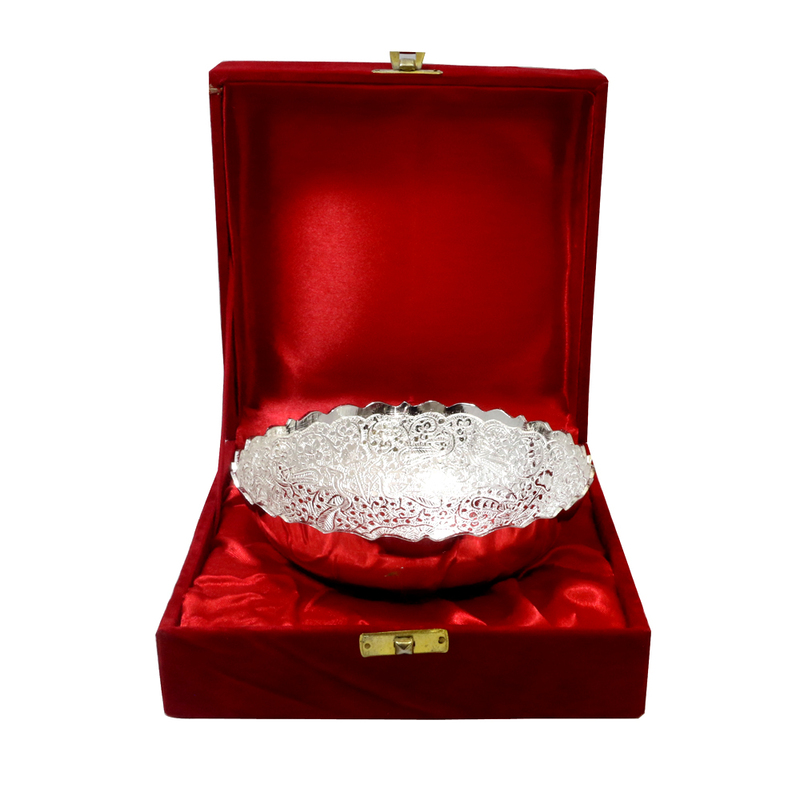 Go back in time and enjoy the royal feeling that you so deserve with this German silver bowl. It is a spitting image of fine Read More..craftsmanship and has a jaw-dropping design work done in its entirety. Show Less..